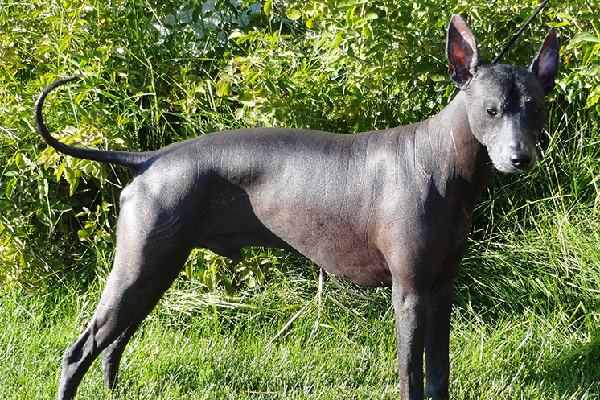 The post Let’s Meet 5 Ancient Dog Breeds by Lynn M. Hayner appeared first on Dogster. Copying over entire articles infringes on copyright laws. You may not be aware of it, but all of these articles were assigned, contracted and paid for, so they aren’t considered public domain. However, we appreciate that you like the article and would love it if you continued sharing just the first paragraph of an article, then linking out to the rest of the piece on Dogster.com. Humans started domesticating dogs about 15,000 years ago. We developed different breeds for our varied cultures, climates, work needs and environments. Over time, some breeds became extinct and some developed into new breeds. Most breeds changed significantly. A few select breeds, even over the course of many centuries, remain similar to their early ancestors. 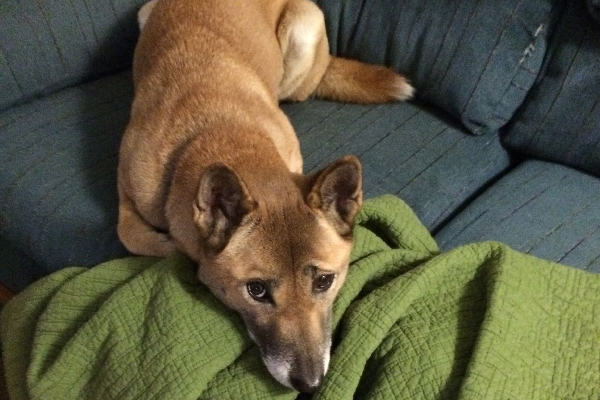 Let’s hear from five ancient dog breeds. Samoyeds are one of the most ancient dog breeds. 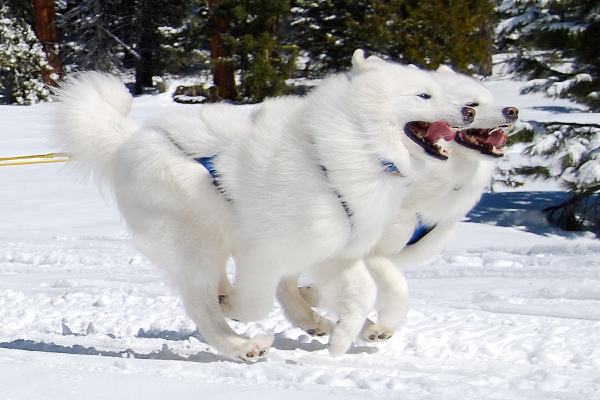 Photography courtesy Paul Martin, Wolf Packs, Inc. Samoyed Club of America. An early working dog, I’m a strikingly beautiful and double-coated arctic breed, developed to herd and haul sleds. I make this list of ancient dog breeds for my work with Northern Siberian nomads, the Samoyede people, who wisely brought us in at night for extra warmth. My ancestors herded and protected reindeer, and in return the humans offered food and shelter. Today, I closely resemble early Samoyed, although history suggests some had darker coats. While I’m recognizable for my marvelous coat and tail carried over my back, it’s my personality that increases my fan base: I’m alert, happy, friendly and a delightful playmate to the family’s children. Peruvian Inca Orchids were held in high regard by the Incans. Photography courtesy Barb Harris, Peruvian Inca Orchid Club of the United States. I’m the Moon Flower Dog: an energetic, graceful and generally hairless sight hound. We’ve lived alongside humans since about A.D 700, making us an obvious choice in this roundup of ancient dog breeds. When the Spanish conquered Peru, they found us held in high esteem in Inca homes. We acted as bed warmers, message carriers and healing hot water bottles for the ill. In all likelihood, our breed predated the Incas. Images of dogs resembling my breed are found depicted on ancient pottery and art. 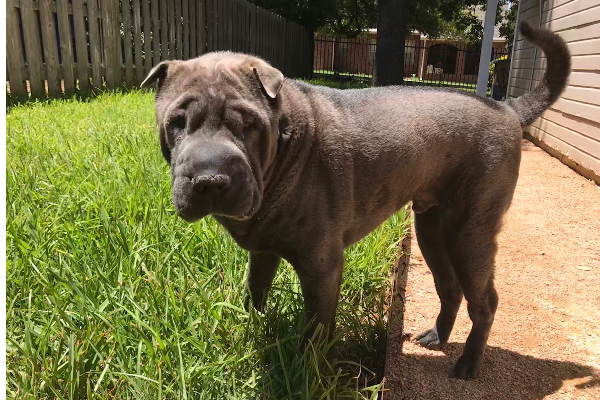 Chinese Shar-Peis are among the oldest ancient dog breeds. Photography courtesy Blair Thornton. I’m one of the oldest ancient dog breeds, developed in China to help peasants with all-purpose farm work. We also hunted and protected property. My early forefathers lived in the southern provinces of China, perhaps since the Han Dynasty over 2,000 years ago. The Chinese thought our permanent scowl frightened off evil spirits. In time my ancestors were sadly used in dog fighting. Our wrinkles allowed us to twist to bite, even while held in an opponent’s grip. Both yesterday and today, we’re reserved and imposing — dutiful watch dogs with loyal hearts. New Guinea Singing Dogs have remained fairly unchanged for thousands of years. Photography courtesy Greg Bradshaw. Weighing about 25 pounds, we were developed (distinct from humans) in the highlands of New Guinea thousands of years ago. Isolated on the island from other dog types until the mid-20th century, we make this list of ancient dog breeds, as we’ve changed little from our ancestors. Remarkable hunters, we climb and jump in a cat-like manner. Well-known (and named!) for my complex vocalizations including yelps and howls, I’m an active, animated and altogether rare dog. 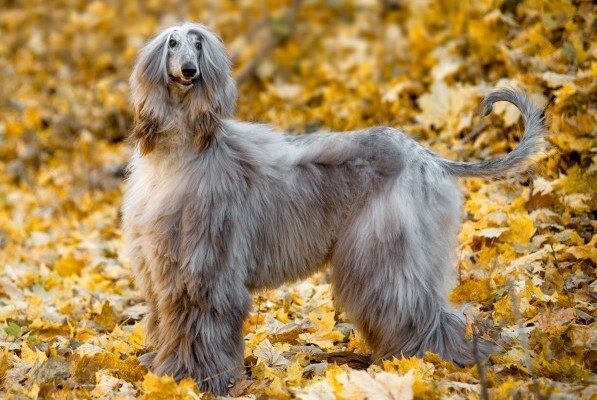 Afghan Hounds are an ancient dog breed that originated in Afghanistan. Photography by Olga_i / Shutterstock. Refined with a dash of the exotic, we trace our origins back to Afghanistan (from ancient lines, possibly Egyptian?). Our extraordinary lovely and long coat protected us from weather extremes. Facts mix with fiction about our development, but we were certainly bred to hunt large game, pursuing prey in deserts and mountains. My forefathers traversed rough terrain swiftly and sure-footedly, followed by huntsman on horseback. The various kings of Afghanistan maintained kennels of my ancestral hunting hounds. Because we could out-distance the horses, we hunted on our own. That in part explains our independent nature.